Lamborghini já marcou a data de lançamento de seu novo SUV, o Urus. O modelo será revelado em 4 de dezembro. Os italianos, porém, divulgaram no dia 9 de novembro um vídeo em que o utilitário aparece realizando diversas manobras em um deserto. No vídeo, o Urus, ainda camuflado, é capaz de realizar saltos, derrapagens e mostra desenvoltura ao superar os bancos de areia. Tudo isso no modo Sabbia, que significa areia em italiano. Além deste, haverá outras 5 configurações diferentes: neve, terra, circuito, sport e rodovia. O motorista poderá variar os modos por meio de um botão chamado Anima, que significa alma, também em italiano. O Urus será a segunda tentativa da Lamborghini entre os SUVs. O primeiro utilitário esportivo criado pelos italianos foi o LM002, nos anos 1980. Lamborghini has already marked the launch date of its new SUV, the Urus. The model will be revealed on December 4. The Italians, however, released on November 9 a video in which the utility appears performing various maneuvers in a desert. 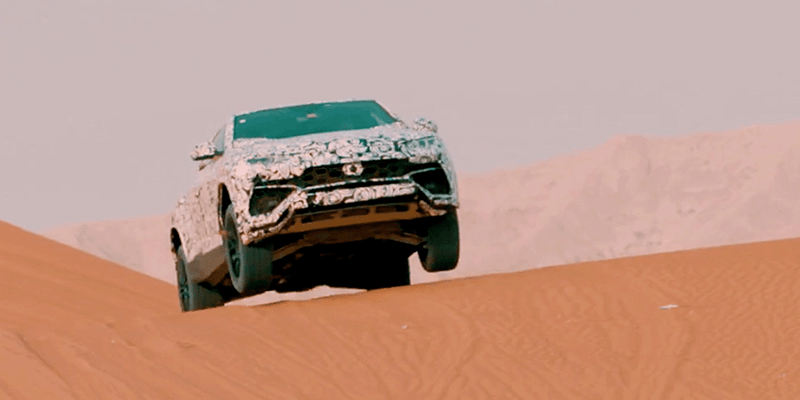 In the video, the Urus, still camouflaged, is able to perform jumps, skidding and showiness when surpassing the sandbanks. All this in Sabbia mode, which means sand in Italian. Besides this, there will be 5 different configurations: snow, earth, circuit, sport and highway. The driver can vary the modes by means of a button called Anima, which means soul, also in Italian. 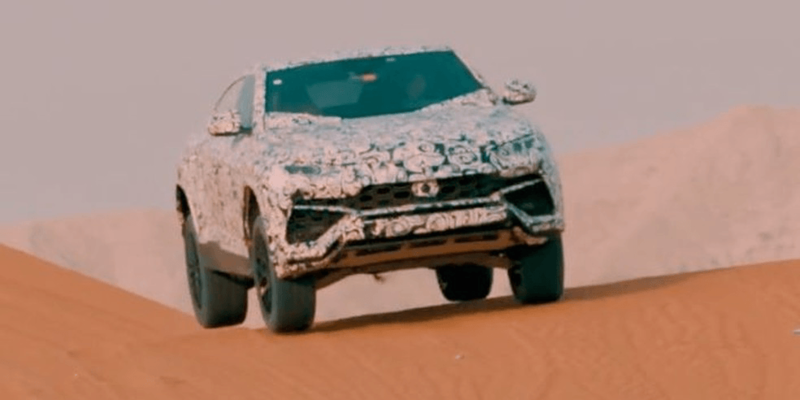 The Urus will be Lamborghini’s second attempt among SUVs. The first sports utility created by the Italians was the LM002 in the 1980s.